Nine states with a history of racial discrimination are more aggressively removing registered voters from their rolls than other states, according to a report released Friday. After reviewing voter purges nationally from 2012 to 2016, the nonpartisan Brennan Center for Justice found that the mostly Southern jurisdictions that had once been required to get changes to voting policies pre-approved by the Justice Department had higher rates of purging than jurisdictions that were not previously subject to pre-clearance. A key section of the 1965 Voting Rights Act, which was designed to protect minority voters from state disenfranchisement, was struck down by the Supreme Court in 2013, allowing states to begin making changes affecting voting without first getting federal approval. "Two million fewer voters would have been purged over those four years if jurisdictions previously subject to federal pre-clearance had purged at the same rate" as other jurisdictions, the Brennan Center estimated. In Georgia, for example, 156 of the state's 159 counties reported an increase in removal rates after the Voting Rights Act was changed. In 2016, advocates sued Georgia for making voter registration harder. In 2017, the American Civil Liberties Union sued a Georgia county and the state Secretary of State for its purge practices, too. "There's cause for concern when the purge rate goes up this much at the same time we're seeing controversial, sometimes illegal voter purge practice, in addition to changes to other voting laws that make it more difficult to participate," said Jonathan Brater, counsel for the Brennan Center's Democracy Program and one of the report's authors. 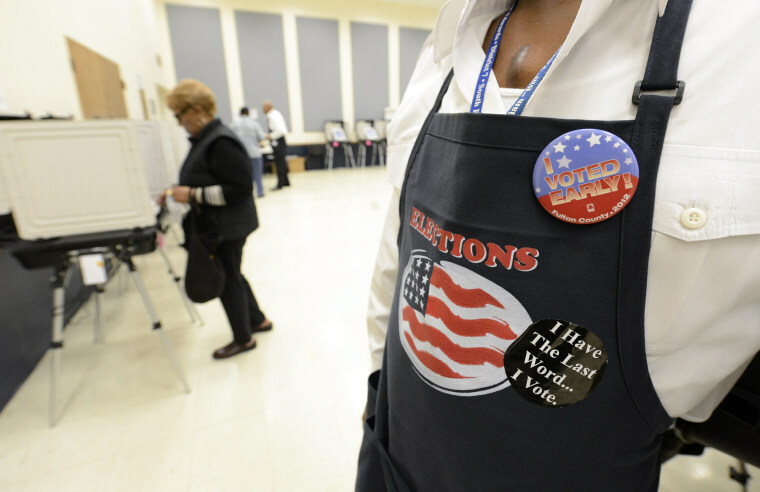 The Brennan Center's analysis found that election officials were purging voter rolls more aggressively nationwide, too, with some using imprecise or possibly illegal methods to do so. Voter purges — cleaning up and pruning voter rolls down to remove inaccurate information — are a normal part of all election roll maintenance. But if purges are done too aggressively or with bad information, advocates warn, they can disenfranchise eligible voters, who may not know they've been purged until they go to the polls on Election Day and are unable to vote. Brater said that under the Trump administration, "the Department of Justice has abdicated its responsibility to protect against bad voter purges." "They've actually been encouraging jurisdictions to purge more aggressively," he said. In 5-4 ruling, the Supreme Court recently approved Ohio's method for purging voters from the rolls. The Obama Justice Department had supported the challengers in the early stages of the court fight, but the Trump administration switched sides and supported the state.